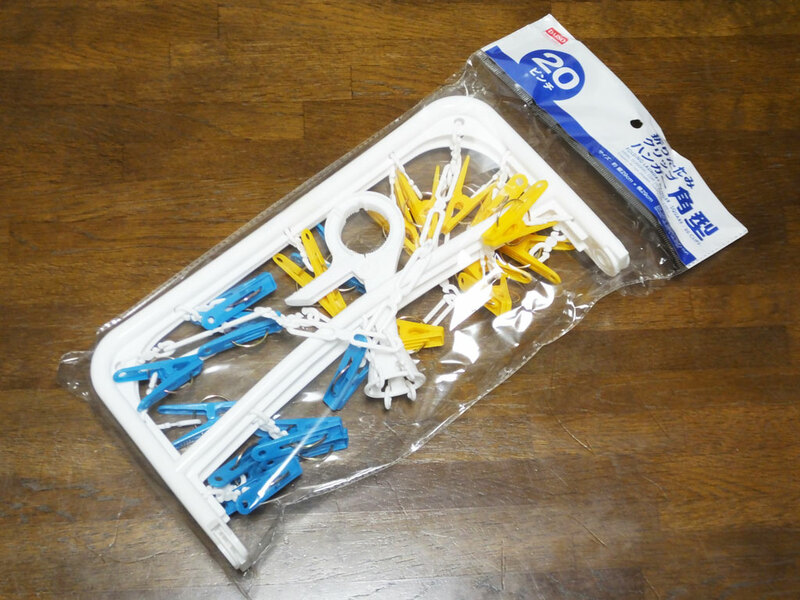 My laundry hanger was broken, so I went to a 100 yen shop to buy a new one. 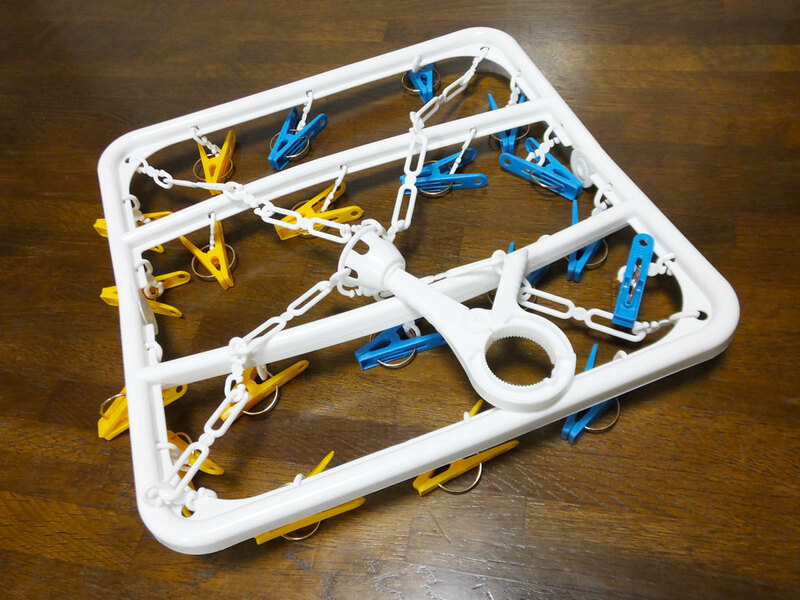 I chose a square type with 20 clips. It can be folded and stored away when not in use. Let’s open it and check it. The size (about 29 x 29 cm) is not too big and not too small. It seems there is no problem. It is strong with the two slightly curved supports in the middle. 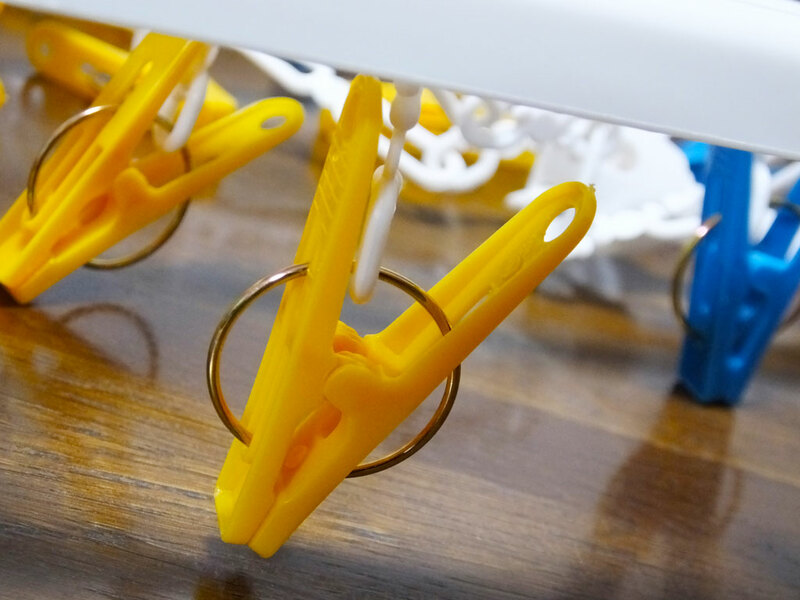 The clothespins are also strong enough to pinch and hang clothes. I didn’t like the colors at first, but now somehow I associate the combination of orange and blue with lovely things in England (such as Paddington Bear, school buses, stationery and so on). I tried hanging hand towels. It was perfect. 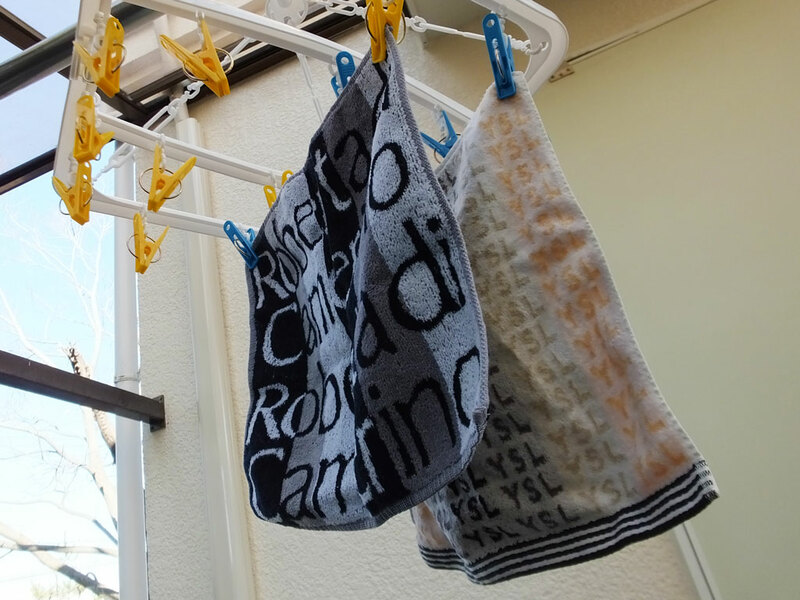 Of course it can also be used to hang many other things including socks, underwear, gloves and things like that. Now I have used it for a month, and I like it very much because it is very useful. I can’t believe it is only 100 yen. I think it is worth no less than 500 yen. When something is broken at home, I usually go to a 100 yen shop first, and then go to other stores. I often find a good product at a 100 yen shop like this time. I can save a lot of money thanks to 100 yen shops.